Across our country and around the corner, in classrooms and living rooms, there is a climate of rushing to judgment. When have you “turned the other cheek” or extended mercy? Can you recall a time you have received mercy and forgiveness? There is a better way. We can find reconciliation and acceptance from Jesus. Find it here! And thanks for listening to this important message, and trying with me, and all of us, to put it into practice! A recent survey of people ages 18-24 revealed that “selfies” are their most popular genre of photography. The result of the survey is supported by evidence from Instagram, Twitter, Facebook, and other media. What’s the difference with a Selfie? Who do you see when you take a selfie? Of course, yourself! The thing is, when you’re always focused looking at yourself you don’t see who? Others, right! When we are walking around all day, whether our phone is in front of our face or not, if we are constantly thinking about ourselves, what we want, we might be being selfish! Jesus wasn’t selfish. He freely gave himself for us so we would be forgiven and given an amazing life! And, Jesus doesn’t want us to be selfish either, but to be selfless! “Do nothing from selfish ambition or conceit, but in humility regard others as better than yourselves. Let each of you look not to your own interests, but to the interests of others” (Philippians 2:3-4). 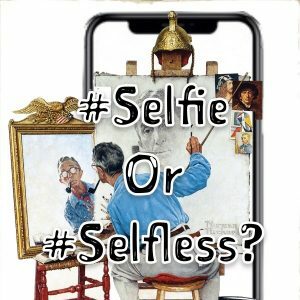 So let’s remember: less selfie, more selfless. Selfie’s are O.K.. Selflessly paying attention to others is Jesus’ way! Imagine your life is composed of different rooms. Rooms to relax. Rooms to eat in. Places to exercise, and another to enjoy a hobby. Some rooms are especially equipped for making things, or assisting in meeting the needs of guests and taking resources from inside to share with others outside in the neighborhood. Andy Andrew’s in his book, The Traveler’s Gift (2002), writes about a room called Never Was. 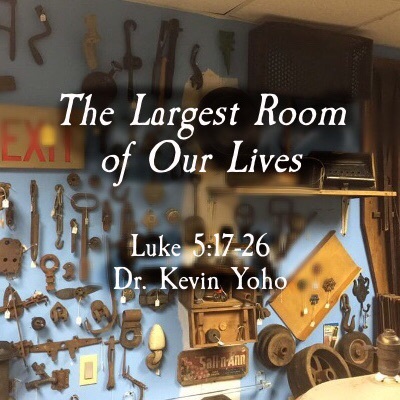 He calls it “a giant warehouse of a room that holds all of the things God was ready to deliver to people, had they only persevered in prayer a moment longer” (157). For many of us, the Never Was room is practically the largest room in our house. It doesn’t have to be that way. This week we will visit our house of rooms in our lives as we hear the words of the prophet Jeremiah when he spoke to a war-torn and weary country about God’s hope. We will hear Jesus pronounce blessings available to all. Are you looking for a blessing? Do you need resources to move your hopes and dreams from Never Was, to It Is Now? The blessings Jesus gives are for everyone, especially those who don’t feel blessed; the hungry, the poor, and those who are cast aside by others. Happy Presidents Day! Whose image is on this ONE DOLLAR bill? Right. George Washington. George Washington, like every president, like everyone, did lots of wonderful things for the country. And, well, some not so good things, too. But he is honored for the good. And, to honor dead presidents, we have placed their image on the currency we use. Its a way to be reminded of those great things. For example, George Washington said, “It is impossible to govern without God and the Bible”. Even in Jesus’ day, they put the image of the king on their coins. But did you know you have an image on you? Yes, that’s right. 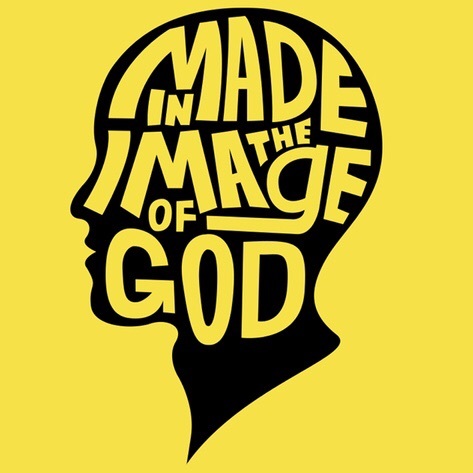 You are created in God’s image. So when you look in the mirror, I want you to remember that you are created as a unique expression, image, of Jesus. We want to look more and more like Jesus each day. When you help others; Are active in doing good things. You show that image most clearly. You may even be president one day! But until then, all of us help each other to show God’s image in how we act and through the decisions that we make as we serve others. So happy Presidents Day. And be joyful, because you are made in the image of God. Though dealing with shortfalls and underperforming, a lack of energy or assets, or shortcomings consumes a lot of our attention on scarcity. Our true challenge is dealing with abundance! We cannot embrace God’s unexpected, outrageous abundance. (Think about that.) Our 305-year “young” mission is to represent God’s abundance. But too often, we are overwhelmed with scarcity, just like Peter and James and John do in this week’s message from Luke 5:1-11. Its the problem of too much. God does so much. So much love, so much forgiveness, goes overboard on mercy, unending compassion, amazing and abundant grace and goodness. Our “problem” is being afraid to let go of the scarcity life and instead embrace the abundant life of God’s love offered to us. 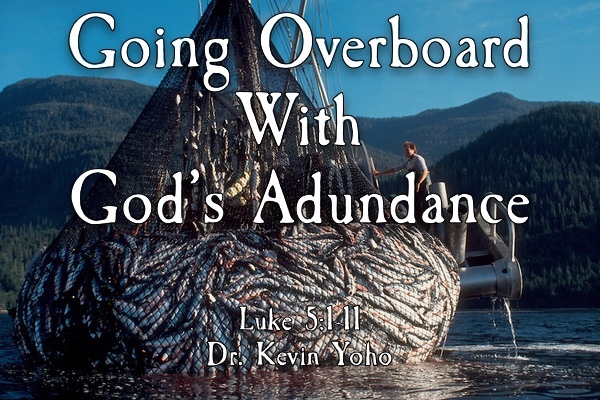 Experience the amazement as the disciples’ fish nets were filled to overflowing in this energizing message of God’s overboard love.It’s time for the church to “Go Overboard.” To go overboard in love. To go overboard in trust. To go overboard in compassion. To go overboard in mercy. To go overboard in neighborliness. How will you go overboard with God’s abundance this week? How big is God’s love? Some people have used pretty big words to describe God’s big love, like supererogation. Can you repeat that?! Supererogation is so much love, it is extravagant. Amazing. Overwhelming and super abundant. Because God’s love is beyond measure. In the Bible, God’s love letter to us, Jesus-follower, the Apostle Paul, tried to describe God’s love when he wrote, “And I ask God that with both feet planted firmly on love, you’ll be able to take in with all followers of Jesus the extravagant dimensions of Christ’s love. Reach out and experience the breadth! Test its length! Plumb the depths! Rise to the heights! Live full lives, full in the fullness of God” (Ephesians 3:14-10). That’s a whole lotta love! 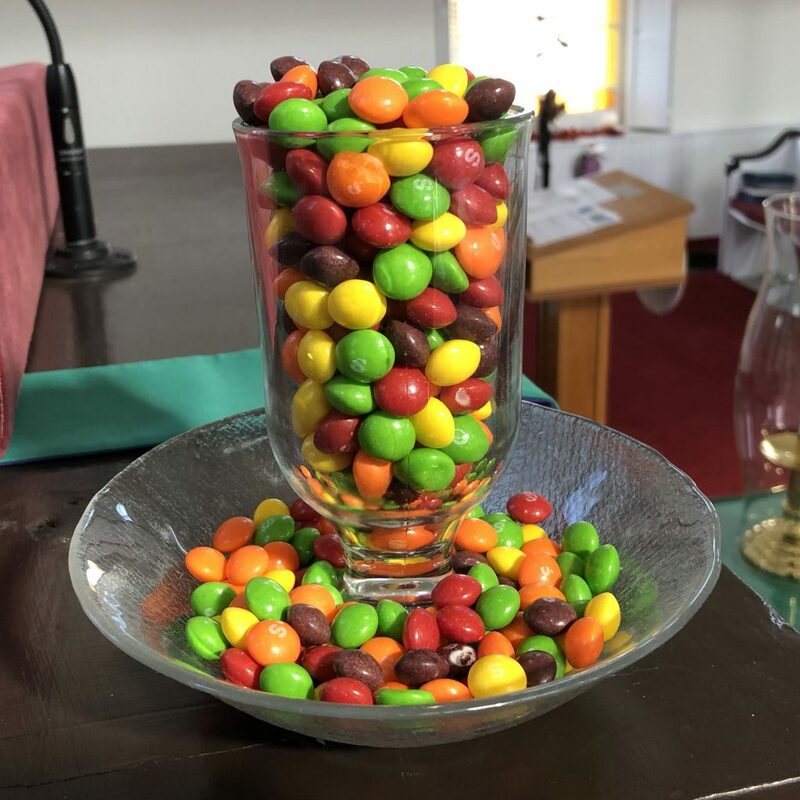 God’s overboard love is like Skittles. Pouring a bag of Skittles, it overflows, more and more. God’s love won’t stop! Goes everywhere. Can’t be stopped. It goes on, and on, and on! Remember that God’s love is available to you. It will never run out. You can count on God being with you always. God’s love is for ever, and its for you! “Watch what God does, and then you do it, like children who learn proper behavior from their parents. Mostly what God does is love you. Keep company with him and learn a life of love. Observe how Christ loved us. His love was not cautious but extravagant. He didn’t love in order to get something from us but to give everything of himself to us. Love like that” (Ephesians 5:1-2). God has given each of us a charter. 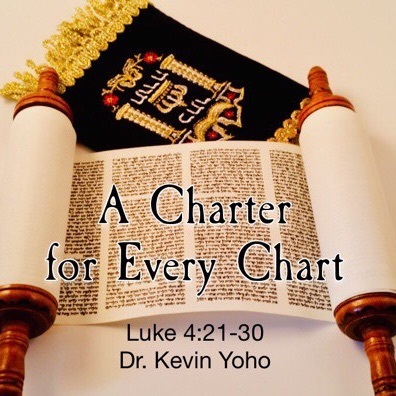 Do you know what your charter is? This week, we will discover how to say “yes” not just to life—that’s the chart—but to our life mission, our life’s charter. The chart, the path must adapt to changing opportunities and challenges. 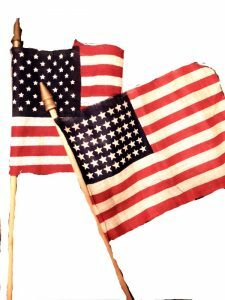 How many stars are on this flag? No, not 50! That’s right, 48, before Alaska and Hawaii were admitted as states. Many of you were alive to witness the change. And it was not unanimous! Imagine hearing, ”48 is a perfect number.” “Why change something that’s not broken.” Yet, we opened our arms and extended our boarders. We courageously embraced 50. (And our friends in Puerto Rico think 51 is a nice improvement! Our church’s chart has changed over time, but its chart, its core mission to be a blessing in this community empowers us to transform. The God-given charter brings us great adventures and excitements and joys that are beyond our imagining. And our charter will leave behind a legacy which will impact future generations in ways that we will never fully see or appreciate. Its our mission from God! I was in Las Vegas last week. Wow. I traveled with Melissa whose health care company is making a difference in the health of individuals. She and her team are accomplishing amazing work. What did I observe? 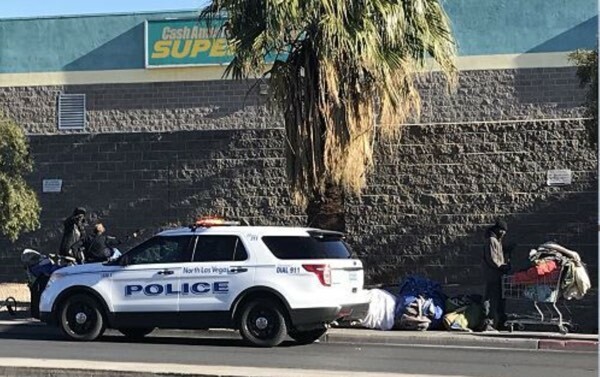 In Las Vegas, they address their community “problems” by sweeping them off the street. Literally. Very little collaboration! The politicians, well, they may do what they can, but the casino’s pretty much control the life, and while there are many enjoyable fun entertaining and positive outcomes (you know, like Atlantic City?!) the too many families and individuals feel trapped and powerless to make a difference. Tens of thousands homeless, underemployed, forgotten older people; and kids who are trafficked and exploited. While it’s easy to attribute blame to behaviors like greed, immoral choices, and upside down life priorities, where is the church and the promise of the abundant life in Christ? In Las Vegas there appears to be no collaboration of hope with thoughtful leaders from education, law enforcement, courts, politicians, and the faith community. Who are working together to change their chart, their course, to benefit all the citizens and visitors to that city? Here in Cape May, we struggle too. There are cycles of abuse, fear, the opioid epidemic is called an epidemic because it’s is out of control! Individuals do what they can. Politicians do what they can, law enforcement, educators, business and commerce do what they can. So do many churches. We participate, as well. But who is leading a collaboration of good thoughtful leadership that wants to do more than bandaging symptoms, and get at the underlying causes of these undesired and unpleasant life outcomes of hopelessness, despair, fear, and anxiety. Our health and wellness of mind body and spirit are outcomes of choices that are made. This is true for churches. This is true for communities. Remember, it just takes one spark to get a fire going. Today, let’s say “yes” not just to life—that’s the chart—but to our life mission, what we are called to do, that’s our charter? Our church has a charter, too. The God-given charter bring us great adventures and excitements and joys that are beyond our imagining. We have a chart of decisions and ministries to engage with in 2019! Let’s not be satisfied with what was or overwhelmed with what is, but consider what we will do to lead Cape May towards a better future and Good News.. Our legacy will impact future generations in amazing ways. 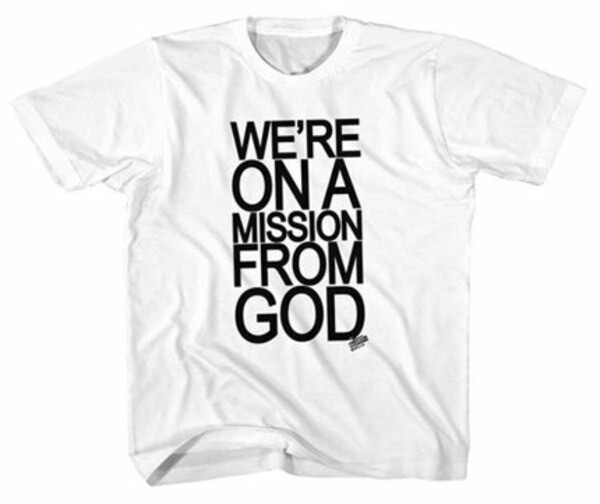 Its our mission from God!